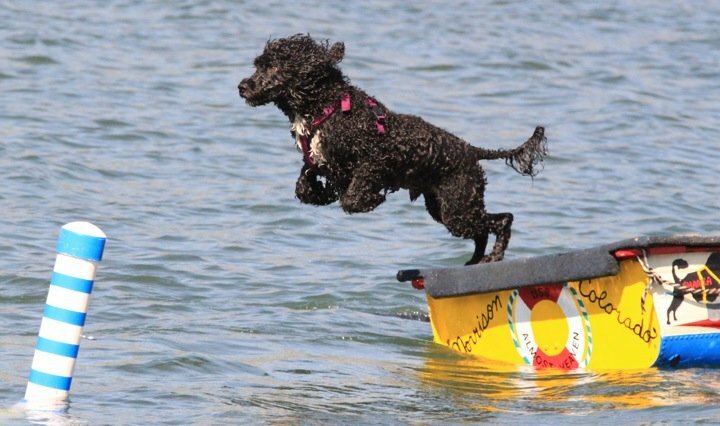 Most of us know the boating safety rules when it comes to our human passengers, but we don’t always think about the precautions we should take with our four-legged family members when we’re out on the water. We might just assume that if Fluffy jumps into the water or has to swim to shore during a worst-case scenario, they’ll do just fine. The fact is, not all dogs are good swimmers and even dogs that are good swimmers might not be able to safely doggie paddle to a shoreline that’s half a mile away. That’s why—regardless of the dog breed—it’s important for your safety and their safety to have a well-fitted doggie life vest on board. If your dog is a bad swimmer, keep their life vest on them at all times. It’s certainly better to be safe than sorry. Photo: A Portuguese Water Dog – aptly named. Dogs: Natural Born Swimmers... Or Not? Some dog breeds are natural swimmers, and others will sink like a brick. The primary determining factor of a dog’s swimming potential is the shape or build of its body. 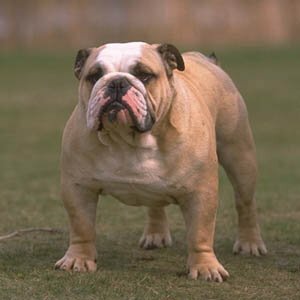 Dogs with tiny legs and/or large barrel-shaped chests in relation to their hindquarters usually make extremely poor swimmers that no amount of training can overcome. Heck, just imagine if Michael Phelps had 1 foot long arms and legs—he probably wouldn’t have a wall full of Olympic Gold Medals, would he? So, if your dog looks like a wine barrel on toothpicks go ahead and cancel those swimming lessons and invest in a doggie life jacket instead. Photo: Yep, he’s a cute bulldog. But does he look like he’s built to swim? While there are exceptions to every rule, here are the best and worst dog breeds when it comes to being naturally good swimmers. If your family is on the water a lot and you’re considering getting a dog, it might be important for you to choose a breed that is a natural swimmer. Do you have a dog that should be a good swimmer, but hates the water? Click here to get some helpful tips to help your dog learn to love the water. Nope, we don’t sell doggie life vests, but there are plenty of online and offline retailers that do. However, if you want to protect the boat that you love, we’ve got you covered. Mention this blog post when you call in your order at 1-866-626-8377, and save 10% on any cover, top or accessory! Pin this photo and win a free Shih Tzu (no not really)! Previous: Fact Friday: Did you know there are naturally occurring pink lakes?